I was raised on a small farm in Batu Pahat, Malaysia. My family was fairly isolated from neighbors so my brothers and sisters became my best friends. It was also up to us to provide our own toys and entertainment, making us quite resourceful. Nature was an integral part of our life. This developed within me a more quiet and reserved personality with a keen observation to detail. My first exposure to the actual shaping of raw clay was in a shopping mall in Kuala Lumpur, I witnessed a demonstration on the wheel and it planted the seed. I was drawn to the idea of infinite variation, of tapping an eternity of creativity. From that point I paid close attention to the ceramic arts. An opportunity presented itself and I was able to come to the United State to attend school. 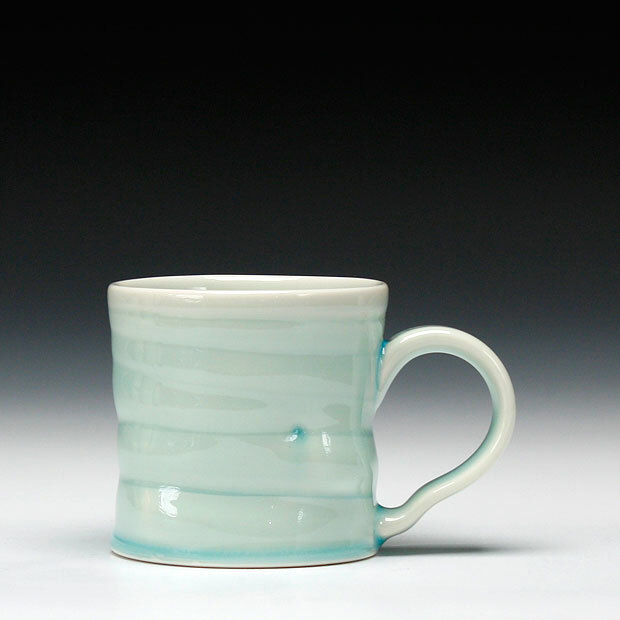 I received my degree in product design but had the opportunity to take ceramic classes as an elective. After working in hospitality for a few years, I decided to pursue the vision that had formed so strongly as a youth. I set up a small studio and began exploring the possibilities. The essence of my work is to create a visual interest that will trigger an aesthetic response. The vessels articulate a rhythm that appeals to an abstract of universal human emotion. Art is an articulated arrangement of a profound idea. To create is divine, I just rearrange. My goal is to simply make good work.